I grew up in Sioux Center, Iowa. My father owned a Coast-to-Coast hardware store, where I worked as a teenager. My wife Sherri and I managed a Ben Franklin store from 1977 to 1986. I graduated from Dordt College in 1986 and then began my career in public administration. During that time, we also had our three wonderful daughters. Tell us a little about your current career. My entire public administration career has been in Iowa. My first position was as Finance Officer with the City of Jefferson in 1986. I managed the cities of Sibley and Jefferson from 1988 to 1995, I served as the Assistant City Manager of Dubuque from 1995 to 2001, and I managed the City of Mason City from 2001 to 2005. My career changed course in 2005, when I became the Economic Development Director for the City of Ankeny. 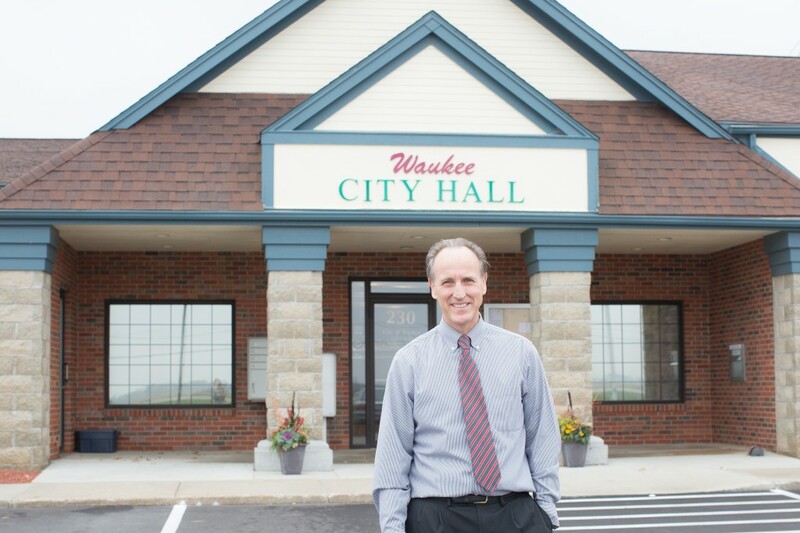 I was then Assistant City Manager in Ankeny prior to starting as City Administrator of the City of Waukee in 2013. My wife and I dabble in biking and golfing. I follow college and pro football during the fall. We have 11 grandchildren living in Iowa, so there are many weekends devoted to birthdays, sporting activities, and other celebrations. We are also active in our church. With the city’s continued changes, there’s always something new. Care to share any updates? One challenge for Waukee in the next three years will be the widening of Alice’s Road from University Avenue to Hickman Road. It will take a significant amount of coordination, communication, and patience by Waukee residents and city staff. Discussions are already taking place on how to engage and inform motorists throughout the project. Residents will hear more about it as the project planning begins in 2016. Is there any one thing you are particularly excited about for our growing community? I’m excited that Waukee and its neighbors are growing to a point where new businesses are interested in investing in Waukee. The opening of Grand Prairie Parkway will provide new development land to Waukee. Combined with the land on the Hickman Corridor, businesses have a variety of development options for retail, personal and professional services, restaurants, and hotels. Additionally, Waukee will have ideal land for office buildings and be able to offer opportunities for Waukee residents to work in Waukee. With a stable economy, the next several years should result in new services and career opportunities for Waukee residents. In this issue, we talk about making smart choices when cooking at home or going out. What are some of your go-to meals when you want a healthy option? The evening meal is often a scramble. The healthiest options for us are grilling fish, chicken, or a lean cut of pork or beef. Any New Year’s Resolutions for 2016 that you’d like to share? I am sort of a New Year’s resolution curmudgeon. My approach to making change is to commit to the change regardless of the time of year.